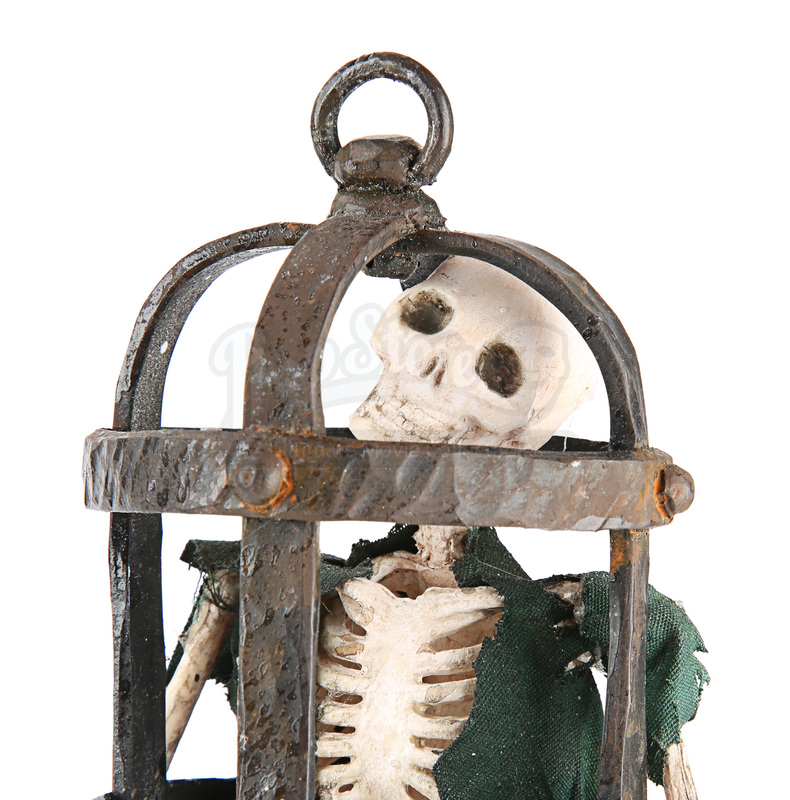 The skeleton of this unfortunate pirate can be seen hanging in a gibbet on Thames Dock, serving as a warning to all buccaneers sailing into London that under no circumstances will pirates be tolerated by the evil Queen Victoria. The cage has been made from resin and decorated to look like rusty metal. The skeleton is also resin with his clothing made from treated cloth. This item remains in fantastic production used condition and measures approximately 19 cm (7 ½”) in height. In The Pirates! 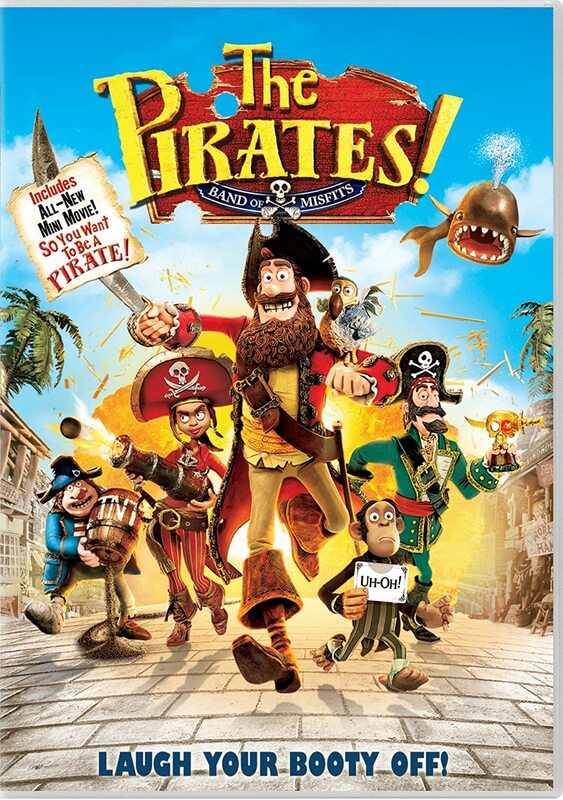 In an Adventure with Scientists, Hugh Grant stars in his first animated role as the luxuriantly bearded Pirate Captain – a boundlessly enthusiastic, if somewhat less-than-successful, terror of the High Seas. With a rag-tag crew and seemingly blind to the impossible odds stacked against him, the Captain has one dream: to beat his bitter to the much coveted Pirate Of The Year Award. 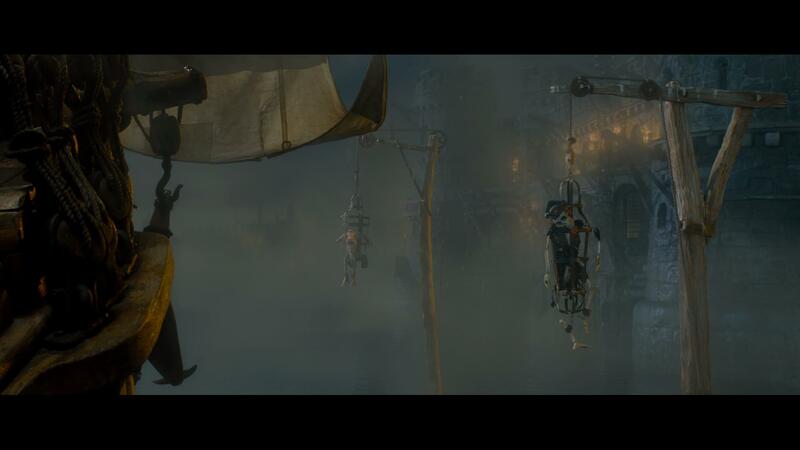 It's a quest that takes our heroes from the shores of exotic Blood Island to the foggy streets of Victorian London. Along the way they do battle with the pirate-hating Queen Victoria and team up with a young Charles Darwin, but never lose sight of what a pirate loves best: adventure. Materials: Resin, Man-Made Woven Fibres.